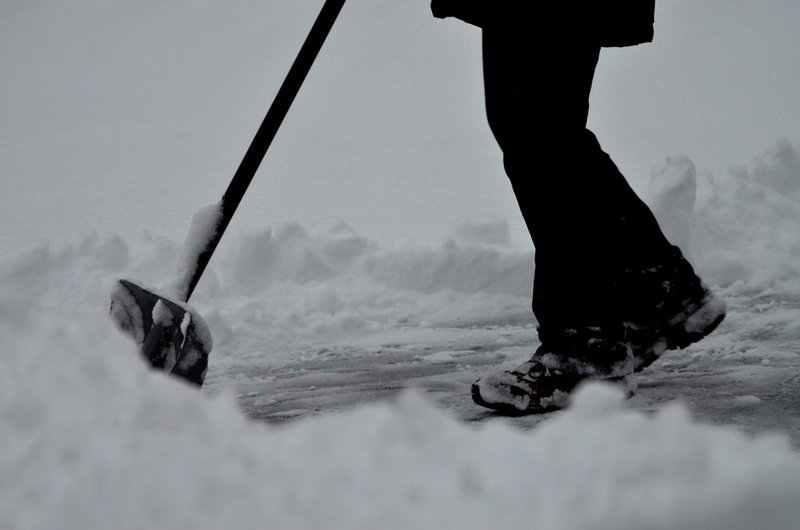 Avoid Back and Shoulder Pain When Shoveling Snow! Every winter – including this past weekend – I see patients with the same shoveling-induced back injuries and pain at Ascent Chiropractic. It’s no secret that shoveling snow is exhausting. It can be tough on your body, especially when it’s wet and icy. Research shows low back pain is one of the most common reasons people visit the ER after clearing snow. If six inches of snow fall on a given day, a person with an average double driveway could be shoveling between 1,100 and 1,500 pounds of snow, depending on how wet the snow is. And that repeated movement, with that much weight, can be hard on your back – especially the lower back. When you mix improper form with a physical chore that you don’t do very often, you’re asking for trouble. As more snowy weather approaches southeastern Wisconsin, take a minute to brush up on tips for shoveling snow safely. Bend your knees and let the muscles of your legs and arms do the lifting – not the back! Brace. Your. Core. A tight core will protect your back as you lift and rotate the upper body. Avoid whipping your back into an arched position. Take frequent rest breaks to take the strain off your muscles. A fatigued body is susceptible to injury! Didn’t read this soon enough? Come see us! Looking for a Brookfield chiropractor? We’d love to help you get started with chiropractic care. Make an appointment at Ascent Chiropractic in Brookfield by calling 262-345-4166 or schedule an appointment with our online scheduling app.